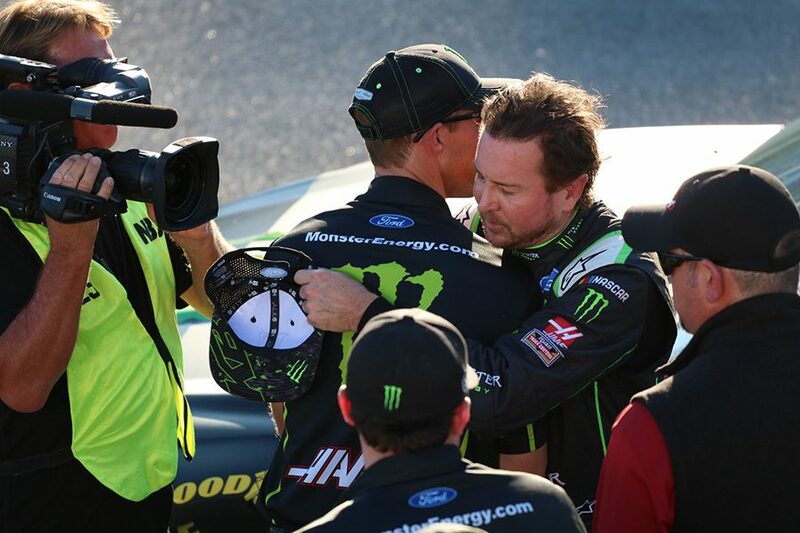 Kurt Busch, driver of the No. 41 Monster Energy Ford for Stewart-Haas Racing, won the pole for the 1000Bulbs.com 500. Busch’s teammates will line up behind him in positions two through four. Following his top-10 finish in practice, Kurt Busch, driver of the No. 41 Monster Energy Ford for Stewart-Haas Racing, won the pole for the 1000Bulbs.com 500 with a top speed of 195.804 mph and a best time of 48.906 seconds. All four Stewart-Haas Racing drivers will start from the front after showing impressive single-run speed in Saturday evening’s qualifying session. Busch’s teammate Clint Bowyer, driver of the No. 14 Cummins/Rush Truck Centers Ford for, finished just 0.126 seconds behind him with a top speed of 195.301 mph and best time of 49.032 seconds. 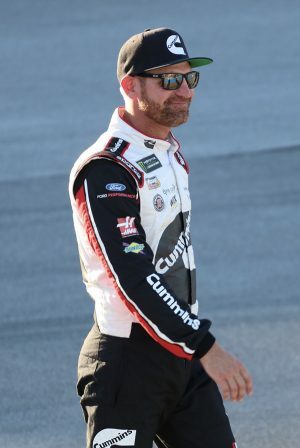 Bowyer had notably fast drafting speed in practice in addition to the single-run speed he found in qualifying with a top-five finish. It’s likely the Stewart-Haas drivers will end up competing against each other since they have all found a lot of speed so far. Clint Bowyer, driver of the No. 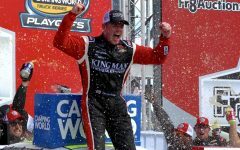 14 Cummings/Rush Truck Centers Ford for Stewart-Haas Racing, will start runner-up for the NASCAR Monster Energy Cup Series race at Talladega. Bowyer had a top speed of 195.301 mph and best time of 49.032 seconds. 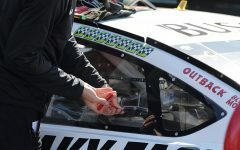 Stewart-Haas drivers qualified third and fourth as well with Kevin Harvick, driver of the No. 4 Jimmy John’s Ford, and Aric Almirola, driver of the No. 10 Smithfield Bacon For Life Ford. Harvick scored a top speed of 195.186 mph and a best time of 49.061 seconds, while Almirola ran at a top speed of 194.571 mph and best speed of 49.216 seconds. Both drivers also had fast cars in practice, with first and second place speeds, respectively. Closing out the top five was Dawsonville native Chase Elliott, driver of the No. 9 Napa Vision Lamps Chevrolet for Hendrick Motorsports, with a top speed of 194.397 mph and a best time of 49.260 seconds. All three of Elliott’s Hendrick Motorsports teammates will start in order behind him in sixth through eighth positions, This includes fellow playoff contender, Alex Bowman, driver of the No. 88 Nationwide Chevrolet, who will be starting seventh. Bowman is depending on a good finish at Talladega to help relieve him of his 34-point deficient below the cutoff to advance to the Round of 8 in the Monster Energy NASCAR Cup Series playoffs. 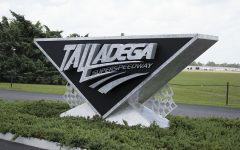 None of the Team Penske drivers had the opportunity to race for the pole with Stewart-Haas Racing and Hendrick Motorsports stealing most of the top-12 positions. All three Penske drivers are currently competing in the playoffs. Drivers Joey Logano, pilot of the No. 22 Shell Pennzoil Ford, and Brad Keselowski, operator of the No. 2 Miller Lite Ford, both have solid cushions over the cutoff to move on to the next round of the playoffs. While Ryan Blaney, driver of the No. 12 Rev Ford currently sits on the bubble just ten points above the cutoff and needs to perform the best out of the three Penske drivers to maintain his position. However, Blaney doesn’t seem too concerned about the situation. Kyle Larson, driver of the No. 42 DC Solar Chevrolet for Chip Ganassi Racing, has more of a challenge ahead of him as he will start tomorrow’s race in 34th after running a full second off the pace of the top cars. Larson has struggled at restrictor plate tracks in the past and lacks a win at one. Statistically, it doesn’t look good for Larson as he’s 12 points below the cutoff to advance to the next round of the playoffs. Larson would need an at least decent run tomorrow to avoid a must-win situation at Kansas next weekend. Unadilla native, David Ragan, driver of the No. 38 1000Bulbs.com Ford for Front Row Motorsports, did not advance to the second round of twelve in qualifying. Ragan placed 16th and with this decent starting position this gives him a good chance to continue his streak of top-ten finishes at Talladega. 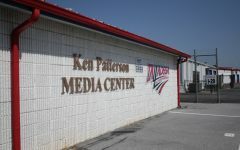 Ragan has finished in the top 10 the last three times MENCS drivers have battled Alabama’s ‘Palace of Speed’. Catch all the action from Talladega Superspeedway by tuning into NBC Sports at 1 p.m. CDT. Who will rule NASCAR’s 'Palace of Speed'? Who will rule NASCAR’s ‘Palace of Speed’?